When Sports and Social Issues Collide … | shenANNIEgans! 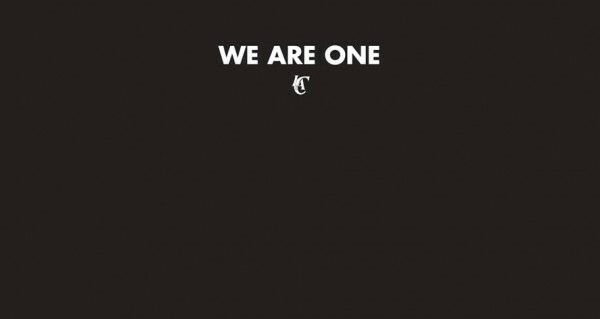 The Clippers website after it was announced that Donald Sterling was banned from the NBA. I’ve been fascinated with the Donald Sterling issue since it hit the news. Racism sickens me, yes. Any kind of bigotry sickens me. And I believe in “stand for something or fall for anything” … Change really only comes about if people stand up for it. I understand what NBA commissioner Adam Silver did today and I am glad he stood for something. I am a closet wanna-be professor who loves anthropological and social issues. Yes, I’m a nerd. Judge and jury: Basically, there was public outcry to be judge and jury on this issue. But could it be that instead of regulating his opinion, we could just choose to not be involved with him? That’s what a bunch of big-time sponsors did when they heard the Sterling comments and pulled their money from the organization. In a sense, I can see the argument that that’s what the NBA did. They are choosing to not engage with him. The NBA certainly has the right to regulate this since they are privately owned (and have a responsibility to protect their players from hate and disrespect), but it’s true that we all have a choice with who we want to allow in our lives and where we want to put our support. We can’t force every person to in the world to quiet their opinion — and I don’t know that we want to — but we can CHOOSE how we want to engage with that opinion. Stand up: Racism and bigotry is wrong. That’s my opinion and I’m allowed to have it. I believe we need to stand up for racism and bigotry in our everyday lives. It shouldn’t take a monumental event, or a TMZ report, to make people aware that racism is an issue. There is a quiet war going on daily in all of our lives. It’s an important one and it requires vigilance. Sports, social change and social media: Sports, in itself, is an anthropological dream. Locker rooms are too. People of all races, ethnicity, genders, classes and financial backgrounds coming together in all sort of crazy ways. Every day, social issues manifest themselves through sports. The Sterling situation was a monumental example of that, and it drives conversation, and that’s pretty rad. To put it in layman’s terms: That’s why sports can be so cool. I think the important point here is that the NBA, again, is privately owned and has the right to regulate and enforce rules. It has the responsibility to protect its players. Silver made a big statement today, not just for the NBA but for all professional sports. Donald Sterling has a history of lawsuits stemming from racist actions toward employees and tenants in his buildings and a track record of bigotry. There’s no way he can just show his face around the organization and have everything be hunky-dory. The team would implode and explode all at once. I’m bothered by the privacy issue but I don’t have an answer. What, really, is private anymore? Can you be an owner and a supposed leader and still retain privacy? Where is that line if you’re in the public eye? Where is your responsibility? What I think we need to take away from this is, simply, AWARENESS. Be aware of all the sides and social issues that pervade this story, because when we lose awareness, we just become single-minded sheep.